SALSA Youth voices in the community participants at Bowman Hall Blacktown. Blacktown high school students have indicated that they are often reluctant to exercise after school hours due to concerns about neighbourhood safety. The feedback was obtained when representatives from Western Sydney Local Health District (WSLHD), Department of Education, NSW Police, PCYC and Recreation Planning and Design participated in a group discussion in Blacktown, allowing students to share their views on the challenges of living healthier lifestyles. The students from Blacktown Girls High School, Chifley College Mt Druitt, and Rooty Hill High School also indicated that poor lighting and concerns about walking alone with headphones in their ears contributed to their reluctance to venture outside. The feedback was noted and will be taken back to the organisations present on the day. The event was an initiative of the Students as Lifestyle Activists (SALSA) program, which sees high school students leading groups of younger children in activities that teach the importance of healthy eating and good levels of exercise. 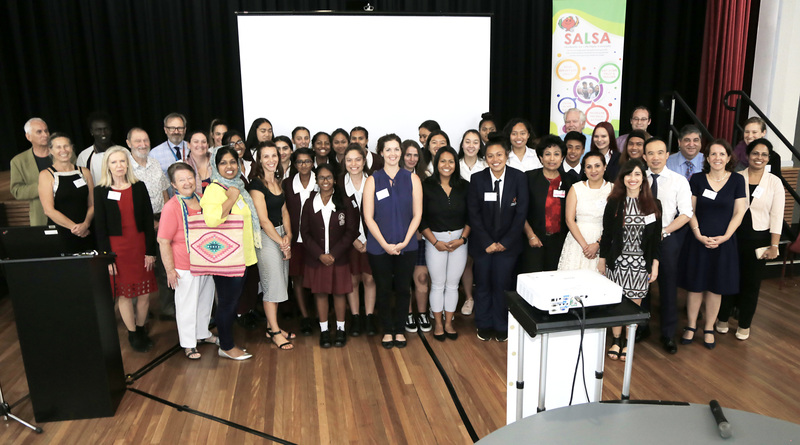 SALSA project co-ordinator Associate Professor Smita Shah said young people have been doing excellent work to promote healthy living. “The students gave us honest, open feedback which is affecting their lifestyles. “They want healthier communities with better safety, cycling tracks, parks, and more. “We know that western Sydney is a diabetes hotspot and that overweight and obesity is a significant problem here. “We need to do everything we can to reduce these rates by preventing weight gain in the first place, helping people lose weight, and helping people keep it off. “As everyone knows, losing weight is very hard, which makes prevention absolutely better than a cure.” A/Prof Shah said. The SALSA program has been recognised by UNICEF as a best practice prevention program. SALSA Project co-ordinator Associate Professor Smita Shah.